Miss A’s Belated Birthday Sweater- Finished!!! I finally finished Miss A’s birthday sweater, which really turned into the “happy graduation from Kindergarten” sweater!! I can’t believe we have another one heading off to the grades in the Fall!! 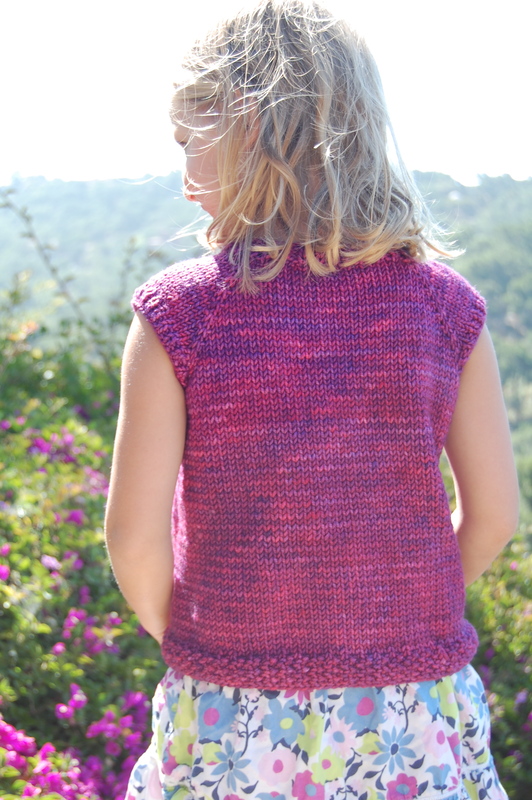 Although it was due to be finished in April, it’s actually a perfect sweater for our cool summer mornings here on the coast. 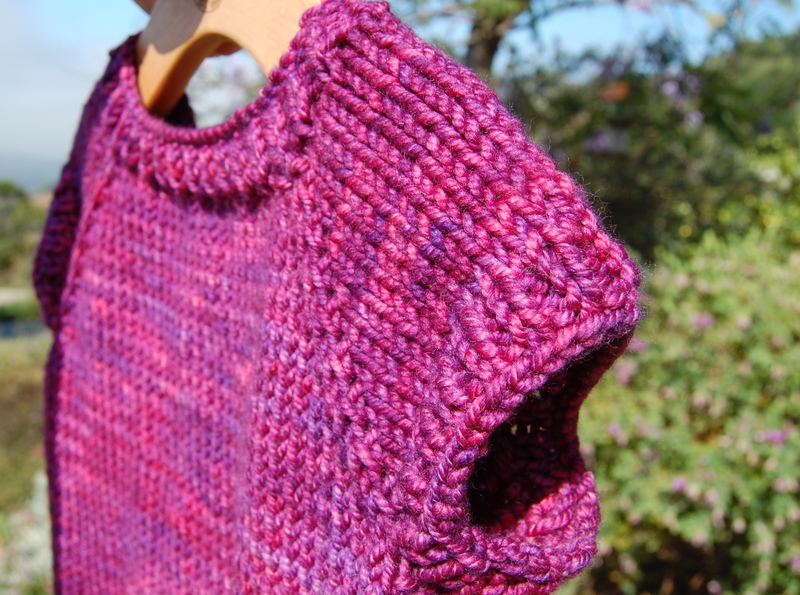 I love the little cap sleeves and seed stitch detail on this pattern– really great for an “intermediate beginner” such as myself!! Miss A picked out this little wooden button and asked for only one, unlike her sister’s almost identical sweater which has two. Gotta love a girl who knows what she wants, right?!! 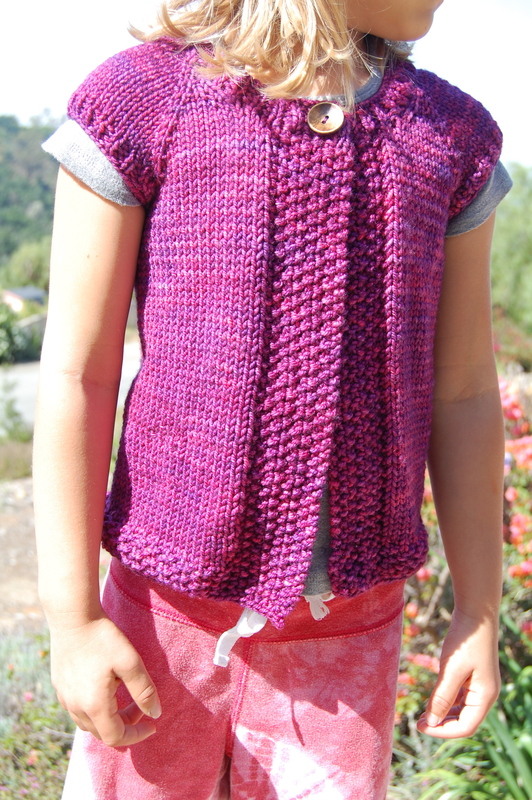 She also requested that I knit her sweater a little shorter than Miss K’s. I love this beautiful Madeline Tosh yarn. 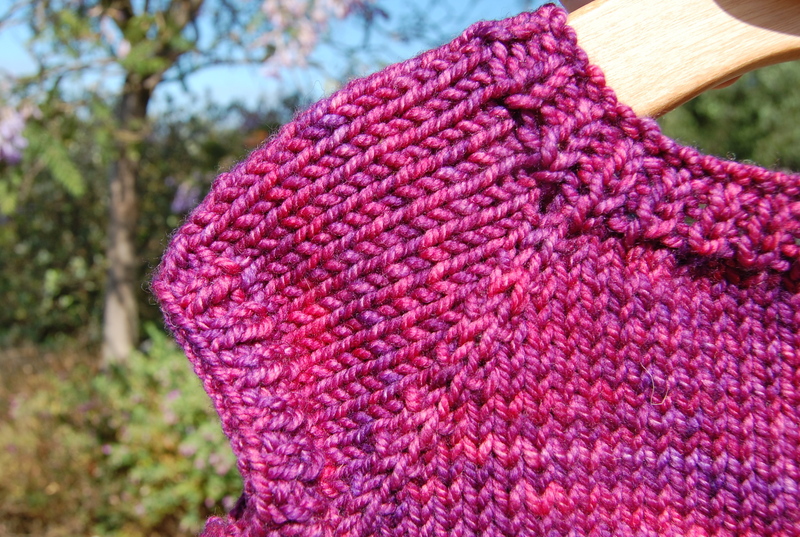 It knits up so nicely, and has such rich color! I still need to give it it’s first wash and block it- but Miss A has waited so long for it we figured we’ll let that part wait! So proud of my Sweet A! mmwwwaah– all my love, Love!!!! I’m linking up today with Frontier Dreams- Keep Calm Craft On. There are so many sweet crafty offerings to browse through over there. Wow! That is breathtaking, the drape and the color are perfect. I’m sure you daughter is thrilled with it! They grow up so fast, don’t they? it’s beautiful~~!! the color is fantastic, but the style is great, too for this age. so pretty…oh..and i like the sweater too! So perfect for our little Miss A. Happy Birthday–Happy Graduation!!!!! 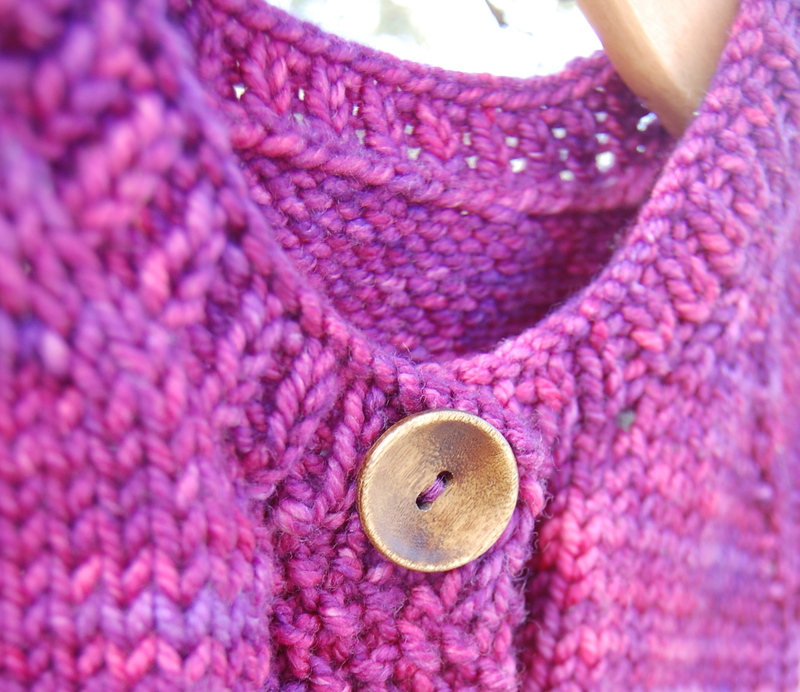 What a pretty cardigan! So cute, and I love the colour. Congrats to A on her graduation! Your “A” is a lovely girl! I do spot a Waldorf influence. Given our daughter’s names, quilting and homeschooling, we must be kindred souls. This is absolutely beautiful. It makes me want to learn to knit, although I realize I do not need anymore hobbies at this point.